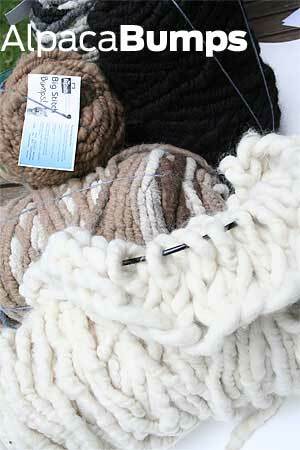 We at fab are always seeking out super bulky, funky and unusual bulky yarns. Bagsmith Big Stitch Yarns and needles are so satisfying - if you have the guts to pick up this giant hunka love, you'll have a scarf in a night. Not kidding. Or a wrap. Or a throw. Fast, furious, and deliciously soft, whether you choose the Alpaca Bumps or the Merino Bumps - both are totally awesome. 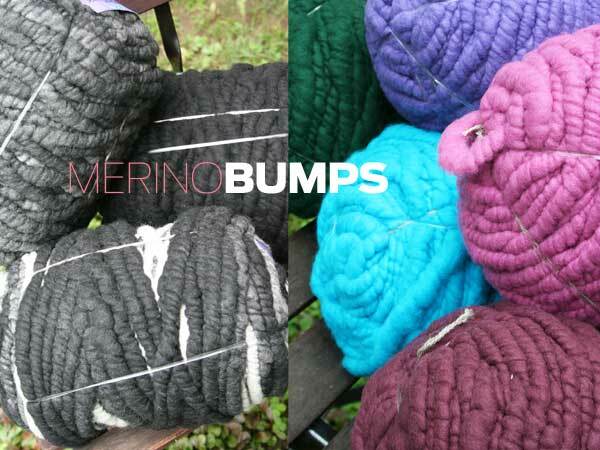 The Alpaca bumps are a little better for home decor and rugs, because they are slightly denser and heavier - the merino are more suited for garments and smaller projects like pillows and wraps. Just a different feel, but a little lighter in body. Whichever you choose, you'll be a bump addict!